Average happens by accident. Excellence happens on purpose. Outstanding workmanship, professional employees and superior products have helped Tom’s Heating Service build an exceptional reputation for HVAC services throughout the area. For more than six decades, Waukesha County homeowners and businesses have turned to Tom’s Heating for expert heating and cooling repairs, duct cleaning and Carrier® replacement equipment. Tom’s Heating is the award-winning choice! Excellence happens on purpose—that’s the mission statement our three-generation family business lives by, and it fuels our success. And it’s just one of the reasons why our Waukesha County neighbors have relied on Tom’s Heating Service since 1954. Everything we do is backed by honesty, courtesy and dependability. Your heating, cooling and indoor air quality (IAQ) systems are among the largest and most important investments you’ve made in your home, so selecting the proper team to install, repair and service them is an important decision. It makes good sense to rely on dedicated professionals with years of experience and ties to the community—you can trust Tom’s Heating experts to deliver. We’re the most client-focused and award-winning heating and cooling business in Waukesha County. The skill of our technicians is complemented by the top brands and fair prices we offer, along with a belief in community service. We take pride in our reputation for being the local company who cares. 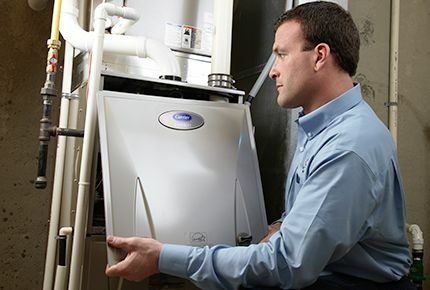 We’re ready to meet all your heating, ventilation, air conditioning and indoor air quality needs with complete installation, repair and replacement service—no matter how large or small. Duct cleaning and sanitizing significantly improves indoor air quality by removing debris, mold and other contaminants from air ducts so you can breathe easier. Call for an estimate today. Our maintenance agreement helps you get the most out of your heating, cooling and ventilation systems. 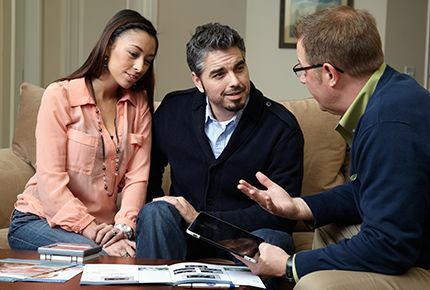 Enjoy comfort and savings all year long—ask for details today. We repair and service all makes and models of heating and cooling equipment using factory authorized parts, and proudly recommend, install and maintain Carrier® products. We also offer air duct cleaning and sanitizing service, and many types of indoor air quality products. And should a crisis occur, 24/7 emergency care is just a call away. We provide our customers with problem-free service every day. As a Carrier® Factory Authorized Dealer, we guarantee 100 percent satisfaction on every furnace or air conditioner installation. 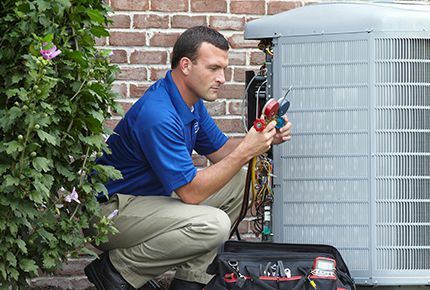 If you’re dissatisfied with your Carrier® equipment within one year of the install, we will repair, replace or refund your money. We have the experience, credentials and skill set necessary to take good care of you—as demonstrated by our Carrier® President’s Awards, A+ BBB rating and great reviews on Google and Angie’s List. Visit Our Showroom at 212 W. St. Paul Ave. in Waukesha. 212 W. St. Paul Ave.
13-time Carrier President's Award Winner!